To make the Soy and Ginger Marinade: in a bowl, combine all the ingredients and stir until well blended. 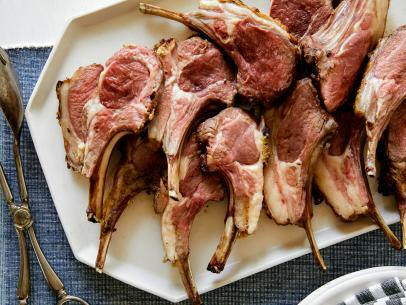 For the lamb: Wrap the chop bones with aluminum foil. (This will minimize the exposure of bones to the marinade and prevent the bones from turning black during the grilling process.) 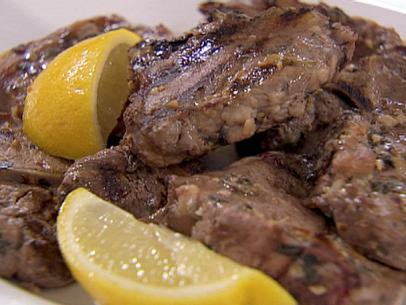 Marinate the racks of lamb for 1 hour in the refrigerator. Preheat the grill. 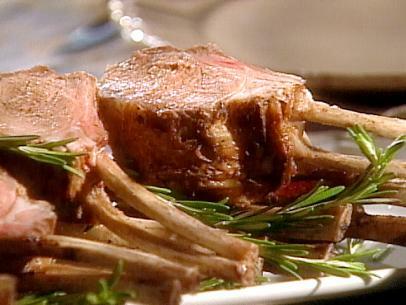 Preheat the oven to 350 degrees F.
Over high heat, grill the racks of lamb until nicely marked and golden brown in color. 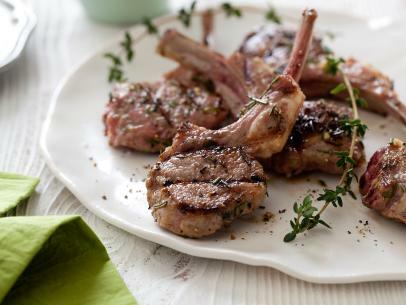 Remove the aluminum foil covering the lamb bones. 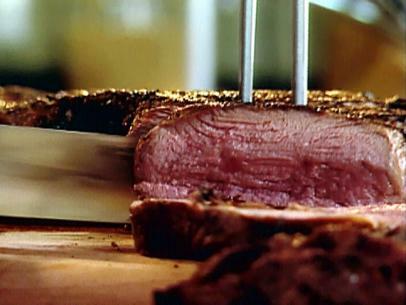 Transfer to a preheated oven to finish cooking to medium rare or desired doneness. 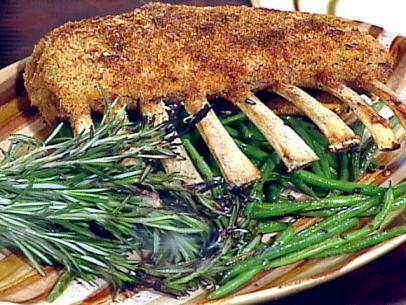 Cut each rack of lamb into 4 double chop pieces. Serve on a bed of Hunan Style Eggplant, with half the Miso and Plum Sauce drizzled over with Cilantro and Mint Vinaigrette. Garnish with julienne green onions and sprigs of cilantro. In a small saucepan, bring water to a boil. Blanch the garlic slices for 30 seconds. Drain. Transfer to a baking tray and allow to cool. 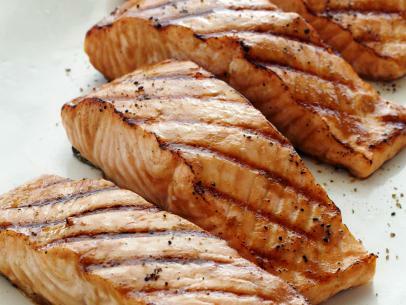 Preheat the oil in a deep-fryer to 360 degrees F.
In a small bowl, combine the 3 types of soy sauces. Reserve. In a wok or large saute pan, over high heat, add the peanut oil. Stir-fry the blanched garlic until golden brown. Add the sugar and continue to stir-fry until garlic is well coated. Add the chili paste. Deglaze with rice wine and vinegar. Bring to a boil, then lower to a simmer. Reduce until slightly thickened. Stir in the soy sauce mixture and continue to simmer for another 2 minutes. Combine the cornstarch and the water in a small bowl to make a slurry. Stir in the slurry and boil the sauce for 2 to 3 minutes, whisking all the while, to prevent scorching. Add some water if sauce is too thick. Lower to a simmer. Deep-fry the eggplant until tender and golden in color. Drain off excess oil. Bring sauce back to a boil and stir in fried eggplant. Lower heat to a simmer and allow sauce to reduce and thicken. Serve immediately. In a medium saucepan, heat the peanut oil. Over medium heat, add the garlic, shallots, ginger and green onions and saute until glossy and lightly browned, about 5 minutes. Stir in star anise and black peppercorns. Continue to saute until aromatic, about 1 to 2 minutes. Deglaze with the plum, port and red wines. Reduce until only about 1 cup of liquid remains. Add the lamb demi-glace and chicken stock. Bring to a boil and lower to a simmer. Continue to simmer until slightly thickened. Stir in the raspberry puree, red miso paste and neriume. Continue to reduce until glossy. Stir in the butter. Season, to taste, with salt and pepper. If too tart, add a pinch of sugar. Strain through a chinois and keep warm until needed. In a small bowl combine the mustard powder and the water and stir to make a paste and set aside. In a blender, combine the cilantro, mint, egg yolk, peanuts, cashews, lemon juice, pickled ginger, vinegar, and reconstituted mustard. Process to a puree. While the motor is running, slowly add the peanut oil until emulsified. 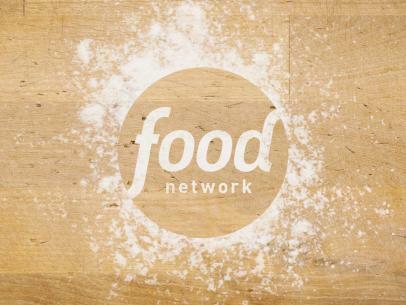 Season to taste with salt, pepper, and sugar. Refrigerate until needed. Use half of the vinaigrette for the lamb and reserve half for the salmon.